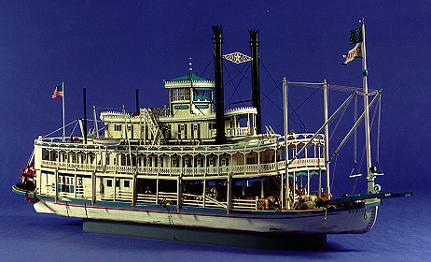 From time to time we will feature a special ship model built by one of our members or from around the world. You will find additional photos and a detailed article about it. Please visit this page often as we will add new models regularly. If you would like to add a featured model to this page please contact our web master. This model of the Wasp is a plank on bulkhead hull. The bulkheads and spine are basswood. The hull planking is cherry with bass wood planking for the band at the gun ports. The model is finished with minwax. Coppering is copper foil tape with nails simulated..